Bangla is spoken as the majority language in Bangladesh and the state of West Bengal in India, and as a minority language in several other Indian states. With almost 200 million native speakers, it ranks among the top ten languages in the world in number of speakers. 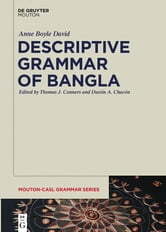 Based on both primary and secondary materials, the CASL Bangla grammar provides comprehensive coverage of the phonology, orthography, morphology, and syntax of Bangla. Plentiful examples of naturally-occurring sentences provide native orthography, Romanization, and morpheme-by-morpheme glossing along with free translations. Unlike many Romanizations of Bangla, our system eschews Sanskritic influence and instead reflects actual Bangla phonology. 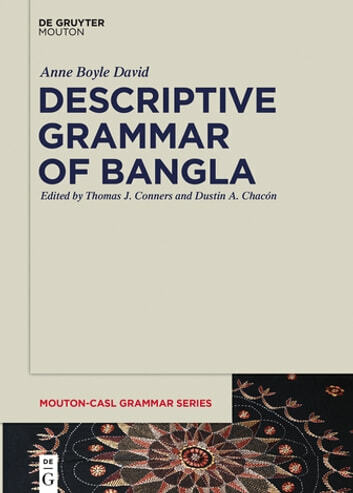 We also offer comparative information of use to linguists, highlighting features of Bangla shared with the South Asian sprachbund, such as light verb constructions, as well as those that differentiate Bangla from its Indo-Aryan relatives; for example, its unique NP structure. Written in an accessible style from a theory-neutral perspective, this work will be of use to linguistic researchers, language scholars, and students of Bangla. A formal grammar focusing on the morphology is an available companion work.